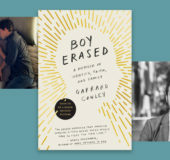 BOY ERASED Trailer Released from Focus Features: Watch Now! Watch Lucas Hedges, Nicole Kidman and Russell Crowe in the new BOY ERASED trailer. Written for the screen and directed by Joel Edgerton, the film is based on Garrard Conley’s memoir. 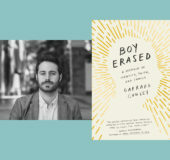 Garrard Conley, author of Boy Erased, talks to Signature about finding his identity in small-town America, surviving gay conversion therapy, and being part of the LGBTQ community in today’s political climate. Boy Erased will star a number of notable actors, both seasoned and new. Lucas Hedges, who appeared in the Oscar-nominated Manchester by the Sea, will star as the film’s young protagonist along with Nicole Kidman and Russell Crowe as author Garrard Conley’s parents. 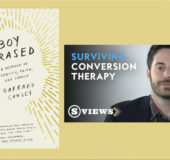 Garrard Conley, a survivor of the controversial “ex-gay” therapy movement, describes his traumatic experience as a gay man growing up in the South. In the years following his escape from extreme prejudice, he has learned one important lesson: compassion has the power to heal wounds, but it’s also one of the messiest human emotions.